Amber Pet Collars - Natural flea and tick repellents for cats and dogs. 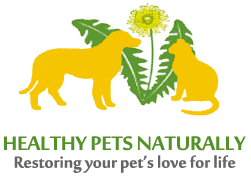 Natural flea and tick repellents for cats and dogs. “Amberpet” is a 100% natural, long lasting flea repellent solution to the problem that is completely safe for use in the home environment and it has a dual action in treating ticks and fleas. Extremely popular in Europe, this sturdy, 100% authentic Baltic amber necklace can be safely worn by dogs and cats of all shapes and sizes. Amber for animals is most effective when it is raw, and has its natural “skin”. It has been proven that Baltic amber has the highest amount of succinic acid and the properties are highest with the raw amber, or amber that still contains the outer “skin”. Amber experts and scientists determine that raw Baltic amber is the best amber to use for animal necklaces in order for them to be the most effective. Amber has long been admired for its beauty and worn as jewellery and amulets since ancient times. It is now making the news as a pet flea remedy and pet jewellery too! With the warmer months now upon us, many pet owners will be dreading the onslaught of ticks and fleas that flourish in hot, dry weather. As well as the fleas causing constant itching and scratching for our four legged friends, the ticks can poison, risking paralysis and in some cases sudden death to pets. “Amberpet” is a 100% natural, long lasting solution to the problem that is completely safe for use in the home environment and it has a dual action in treating ticks and fleas. Extremely popular in Europe, this sturdy, 100% authentic Baltic amber necklace can be safely worn by dogs and cats of all shapes and sizes. “Amberpet” is a natural tick and flea repellent which works in 2 ways. Amber stone contains natural essential oils. 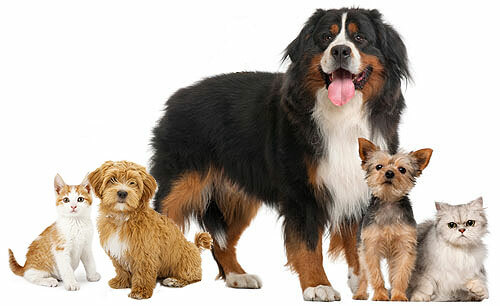 The resinous smell of the amber, which derives from the friction of the amber with the pets fur, and which ticks do not like are responsible for the tick feeling uncomfortable. By the way, ticks can smell! They do not have a nose like ours but they do have a so-called Haller-organ located on its front legs. This organ helps the tick to perceive the smell of a potential victim. It is important that you always use an amber necklace/tick protection collar that is neither sanded nor polished because such treatment leads to the rather rough and permeable surface of the amber stone closing up and thus no smells are released onto the fur. As the amber rubs against the animal’s fur, it generates a mild static electrical charge, which has been discovered as a flea and tick deterrent in dogs and cats. It is completely undetectable to the animal, but gives the tick a shock. Amber’s electrical properties were documented by the Ancient Greeks who called it Electron. 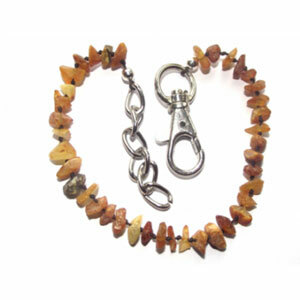 It usually takes 3 weeks or more of wear to have maximum repelling properties.The longer your dog wears the amber stone, the better the smell can distribute in its fur and the better the tick bite prevention. Sweetie is most suitable for cats and small dogs.